IT'S HERE! It's finally here! 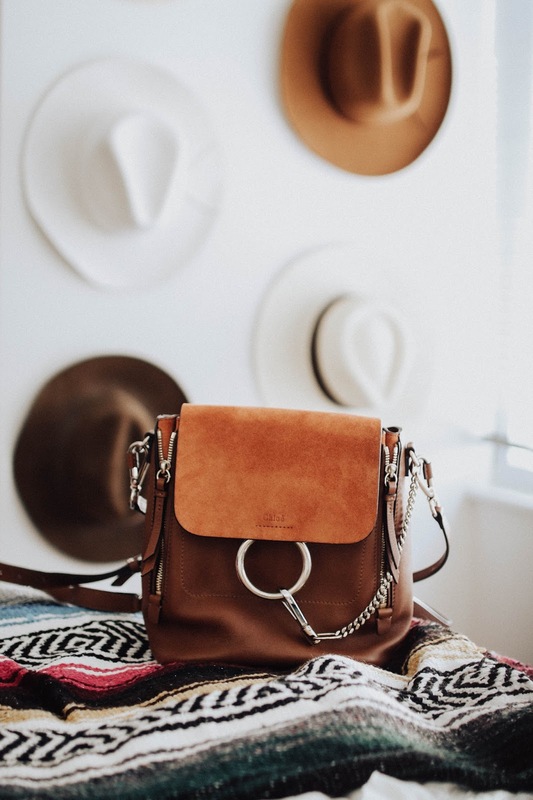 My Chloe Faye Backpack that I ordered from Vestiaire Collective arrived on my doorstep on Friday morning and I've been dying to share it with you guys. I love Chloe, everything about Chloe is perfection. 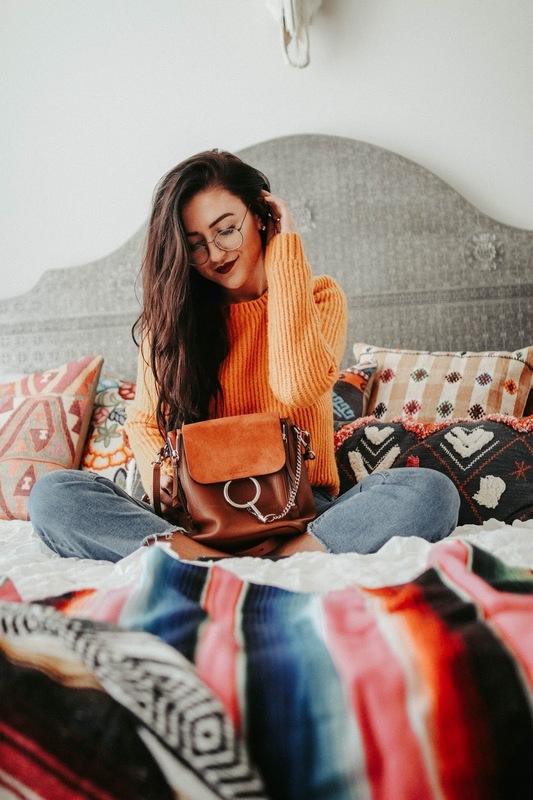 Not only is there a blog post about this bag, but I also just posted an unboxing video on my YouTube, be sure to check that out too! Also, I didn't know this but if you sign up using my referral code, you can get $15 towards your first purchase. How fabulous (no this is not sponsored... I wish.) Sign up here. WHY? I ordered this bag for many reasons. First things first, it's freaking adorable! I know backpacks are trendy right now but I needed a travel friendly bag that would fit my DSLR in it so I could carry it around. DSLR cameras are definitely not small so I knew it would have to be something larger than a crossbody and I didn't want it to be a regular shoulder bag either simply because I knew I wouldn't reach for it. 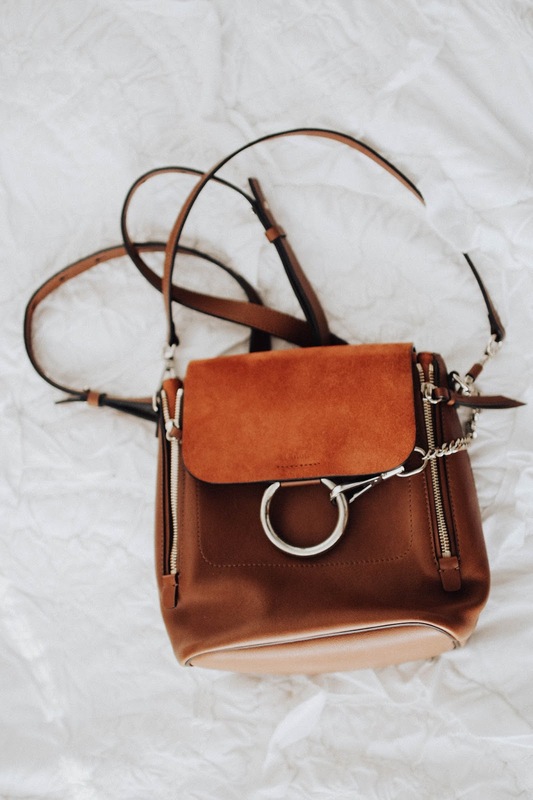 I've owned the regular Medium Faye by Chloe before but my torso is too long to make that a crossbody, so I sold it! The smaller Faye never really interested me, but when this backpack caught my eye, I knew I had to have it! 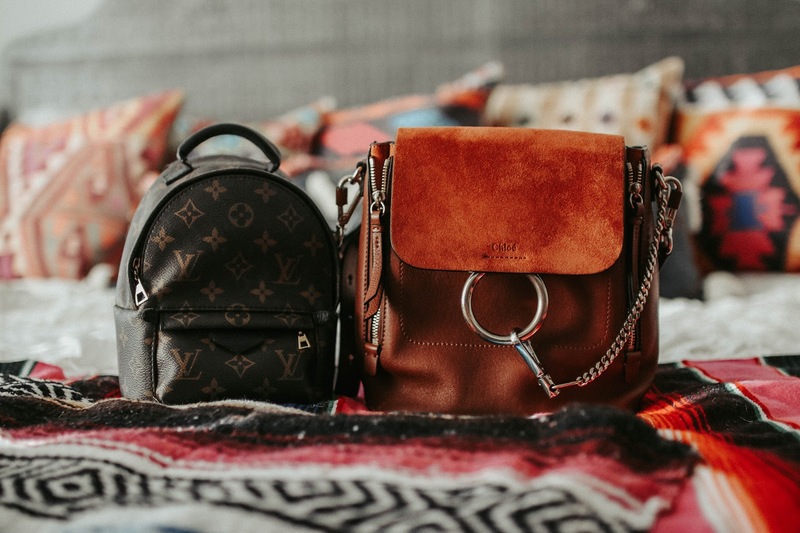 ABOUT: I wanted to compare the back side-by-side to the Louis Vuitton Palm Springs Mini that I've owned for 2 years now. This is my favorite bag that I own, it's so practical and I love that I can covert it from a crossbody to a backpack. My Palm Springs Mini isn't big enough to fit a big ole camera in it but it does hold everything else. 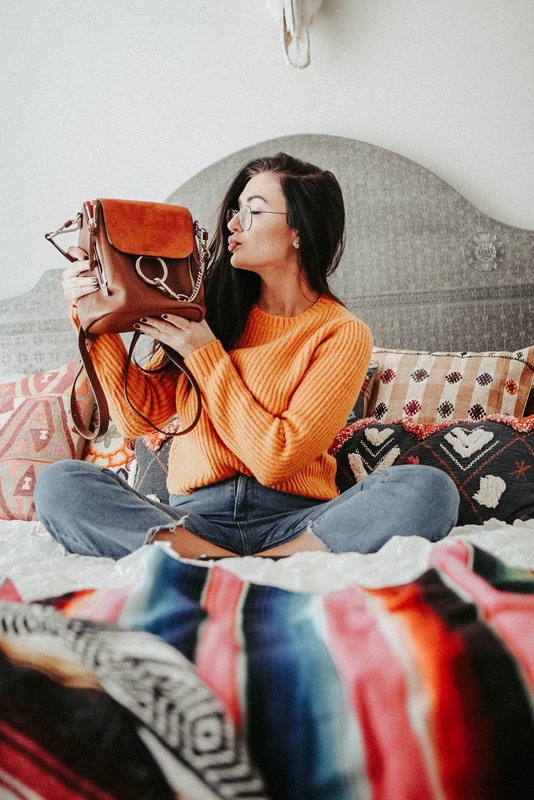 While the Chloe Faye Backpack doesn't look that much larger, it's just the perfect size for fitting a DSLR with space for everything else you would need, without being too large and too much like a normal school backpack. Keep in mind I got the size small! This backpack is available in 3 sizes, the mini, the small and the medium. I was really torn on if I should get the small or medium, I was a little afraid of the medium looking too large for an everyday bag and when I found the small size in the color I wanted for a decent price, I knew I had to swoop it up. I scored this bag for about $500-600 off the retail price. Do people say #winning anymore? No? Oh, okay. What are your thoughts on this bag? Do you love it or hate it? If you love it but don't love the pricetag, I've found several dupes for you for a fraction of the price, check them out here! Also don't forget to check out my unboxing video! Backpack purses are my absolutely favorite. They're just so easy to throw on!